Garage is not the best-looking part of the house. The usually enclosed space makes for dark interior with no windows and hence natural light. 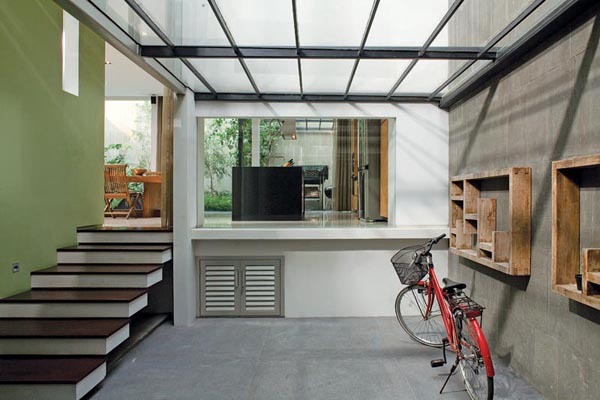 Modern garage designs challenge this box-like design and bring light into the garage spaces. 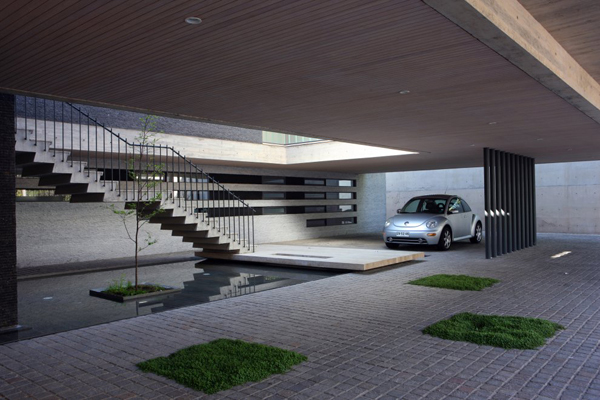 Paz House by Eduardo Berlin Razmilic Associated Architects features a cool open garage with a water feature and grass patches and tree. The space near the building is roofed but features openings in the structure to let the light in. This creates an outdoor/indoor feel and eliminates the confinement of the garage which is aesthetically pleasing thanks to additional features like water and tree. Modern garage design by Indra Tata Adilaras is a part of the project, Split Level House that has a glazed roof and stairs that lead into the house. The garage space and the next room also share a wall with a big glass window which makes the garage look airy and less confined. 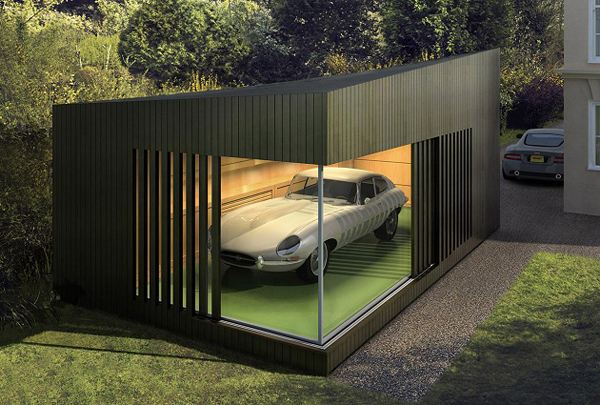 Ecospace has created an Autospace, a free-standing garage shed that exists apart from the house and features glazed walls that allow displaying your car and also a built-in storage that will keep it neat and clean. 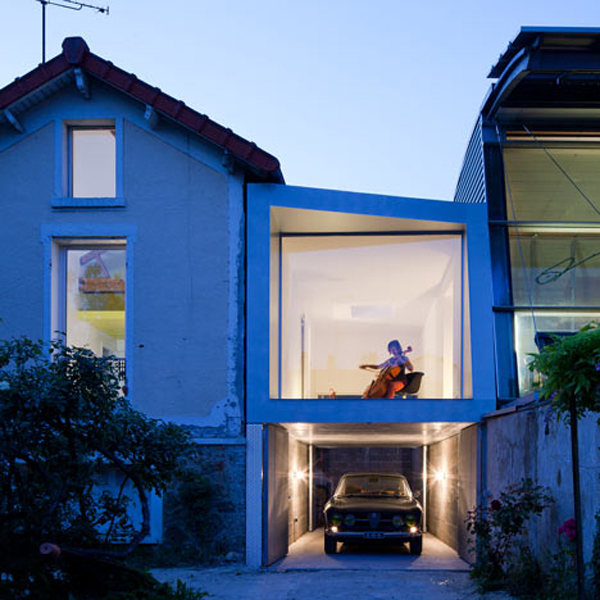 This fourth modern garage resulted from a house extension by Cut Architectures that built a prictice room between the client’s house and the next one which functions as a roof to the vehicle. 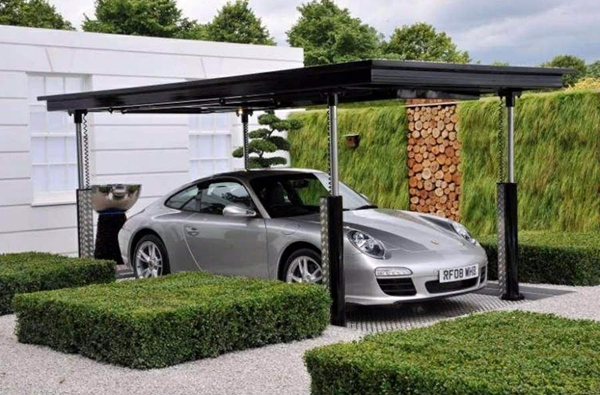 And rounding out our top list of modern garages is an in-ground garage design concept that utilizes a special system of hiding the car underground and serving as a sun awning while it stands open.